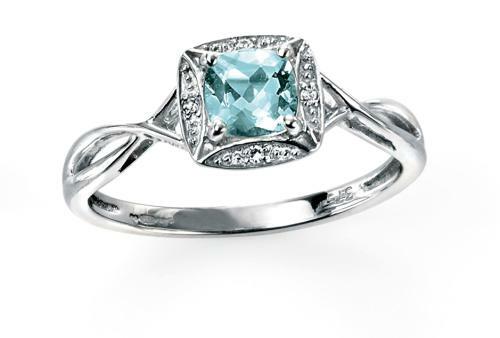 With a pave diamond surround this white gold and Aquamarine ring is a truly eyecatching piece. A twist style shank adds to the appeal. Wear with the matching earrings or pendant for a coordinated look.